New Delhi, Oct 20 : Come January, literary heavyweights will gather in Jaipur for a sumptuous feast of ideas at the annual Zee Jaipur Literature Festival. 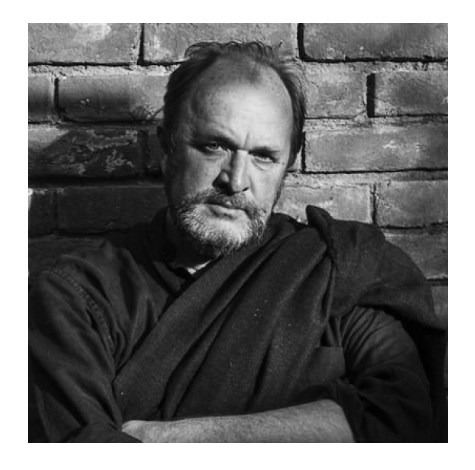 Its co-director and noted historian William Dalrymple said the organisers will be fielding the strongest lineup of literary heavyweights in the upcoming edition as the first 30 speakers were announced on Saturday. The speakers include Colson Whitehead, author of nine books of fiction and nonfiction, including the Pulitzer Prize winning “The Underground Railroad”; Markus Zusak, the international bestselling author of “The Book Thief”, which spent more than a decade on the New York Times bestseller list and has been translated into more than 40 languages; Andrew Sean Greer, bestselling author of six works of fiction, including the 2018 Pulitzer Prize winning novel “Less”; acclaimed British novelist and journalist Hari Kunzru; and Juergen Boos, President and CEO of the Frankfurt Book Fair since 2005. “In 2019 we’ll be fielding the strongest Jaipur lineup ever, an unrivalled literary First Eleven of remarkable poets and acclaimed novelists, historians and biographers, thinkers and dreamers, travellers and critics, actors and screenwriters, genii and major league prize winners. It’s an astonishing line up and I can’t wait for the 24th of January to see it all become a reality,” Dalrymple said. Manisha Koirala, who after her break from fighting ovarian cancer, recently returned to the screen with the coming-of-age drama “Dear Maya”, Netflix’s “Lust Stories”, and “Sanju”, will also be a part of the festival. They will be joined by Tamil author, scholar and literary chronicler Perumal Murugan whose works include six novels, four collections of short stories and four anthologies of poetry, along with astrophysicist and Professor at Yale, Priyamvada Natarajan. Other speakers announced in the first list include Uday Prakash, Upamanyu Chatterjee and Vikram Chandra. “It has been a year of many upheavals and changes in the struggle for gender equity, and our programming will reflect these issues and concerns. We also have a special emphasis on science, the scientific temper, speculative fiction, as well as artificial intelligence and what the future might hold for our planet. Looking forward to Jaipur in January as the 2019 edition returns with its own special brand of magic, whimsy and intellectual rigour,” said writer and co-director Namita Gokhale. The 2019 edition of the festival will take place January 24-28, 2019. It is produced by Teamwork Arts, headed by Sanjoy K. Roy. Would love to participate. I am a fiction writer from Kerala. Write in Malayalam & English. Published one anthology of stories in English (Come, Let Us Sin) and 4 anthologies in Malayalam. Also translated 4 books from English to Malayalam. All published through leadeing publishers like DC Books, Mathrubhumi etc. Appear regularly on prominent periodicals.